Golmaal Again Friday (1st Day) Collection Update. Bumper Start. 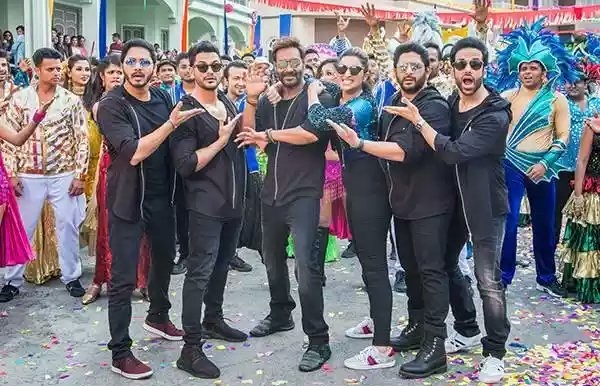 Golmaal Again has taken bumper start at box office on opening day (Friday). This is despite late start of advances. Most of the shows across India started advance booking just few hours back. There is lot of spot booking happening because of this. Golmaal Again has opened to around 55-60% occupancy in Morning shows across India. Samples are considered from multiplexes. Single screens not started yet. Today being Holiday occupancy should get increased as day progresses. Film is getting released in 2700 screens across India. Film has got bit lesser screens than expected. Still it has just enough to score big for the day. Ideally 20 crore nett for the day would have been a great start for this renowned franchise. But looking at screen count which is much less now, even a 15 crore nett for the day will be a good start. 20 crore looks tough right now (not impossible though) and let's hope film create havoc in later half of the day. Hope film records houseful shows from here on and chases 20 crore nett for the day. Anything is possible. Stay tuned for more updates. Golmaal again movie is a laugh riot to core.